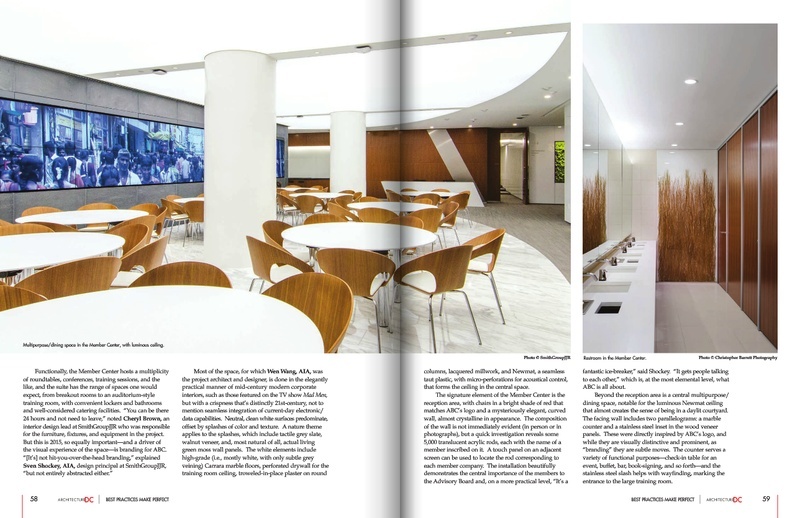 C&G Partners' work for The Advisory Board Company (ABC) is featured in ArchDC - Fall 2015 issue. 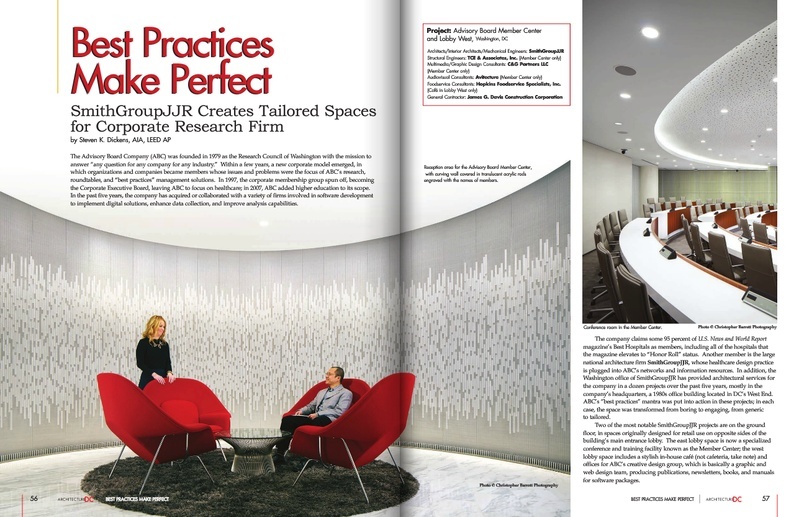 C&G Partners collaborated with architects SmithGroup JJR to design and program a new 7,400 sq ft member space in Washington, DC. C&G designed a series of installations to enhance the design of the space and reflect the company's brand. C&G's ‘Curtain of Names’, media wall and custom designed website are all featured in the article.